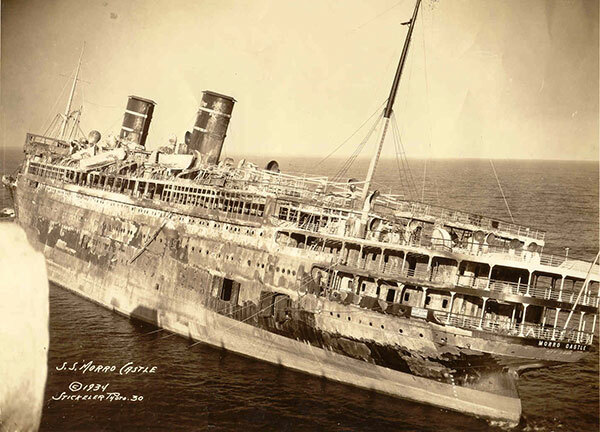 The SS Morro Castle was a luxury cruise ship launched in 1930, named for the Morro Castle fortress that guards the entrance to Havana Bay. 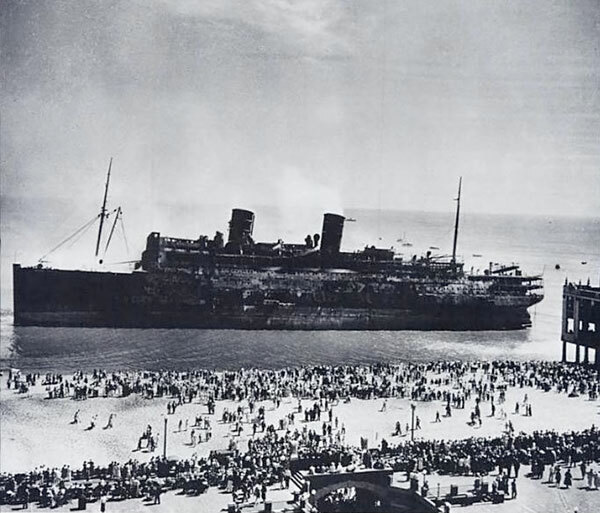 Her final journey began on September 5th, 1934. On the evening of September 7th Captain Robert Willmott had his dinner delivered to his quarters. Shortly after, he complained of stomach trouble, and was soon dead of an apparent heart attack. A fire was detected in a storage locker within the First Class Writing Room on B Deck around 2:50am on September 8th. 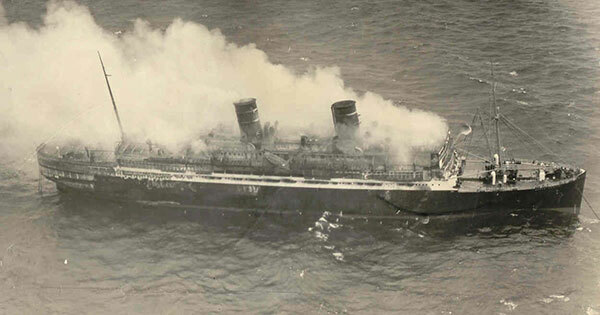 Within 30 minutes the fire had engulfed the ship and plunged it into darkness by burning through the power cables. Radio contact was cut off after only one SOS was sent. 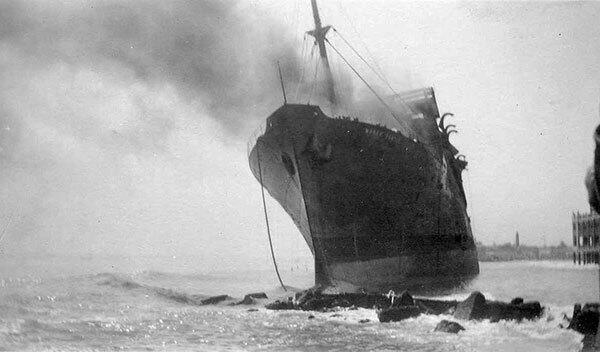 The wheelhouse lost the ability to steer the ship at about the same time, as the fire burned through the hydraulic lines. Passengers and crew began to abandoned ship. The deck was filled with thick, acrid smoke and the boards were hot to the touch. Jump or burn became the ultimatum. 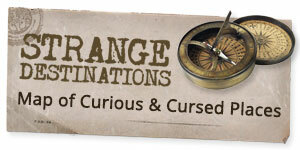 Only six of the ship’s twelve lifeboats were launched. Although the combined capacity of these boats was 408, they carried only 85. Many escaping passengers died due to lack of knowledge of proper life preserver use. As they hit the water, many were knocked unconscious and drowned, or their necks were broken upon impact. 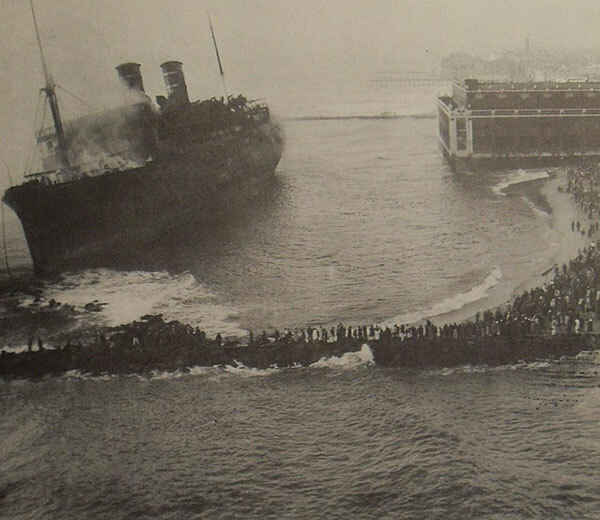 Rescue ships eventually arrived to pull passengers and bodies from the water. 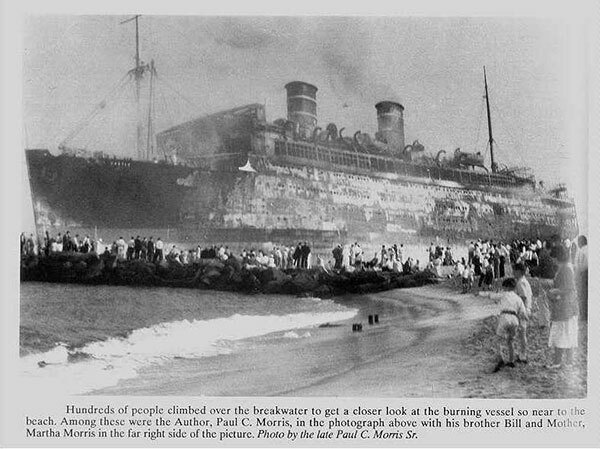 As news of the disaster spread along the Jersey coast by telephone and radio stations, local citizens assembled on the coastline to retrieve the dead, nurse the wounded, and try to unite families that had been scattered between different rescue boats that landed on the New Jersey beaches. 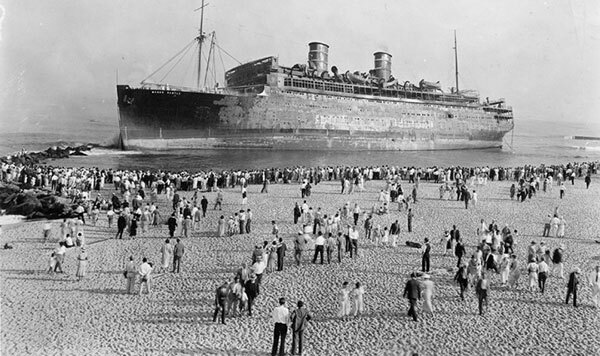 By mid-morning, the Morro Castle was totally abandoned and its burning hull drifted ashore, coming to a stop in shallow water off Asbury Park, New Jersey, late that afternoon at almost the exact spot that the New Era had wrecked and lost 284 lives in 1854. The fires continued to smolder for the next two days and in the end, 135 passengers and crew (out of a total of 549) were lost. 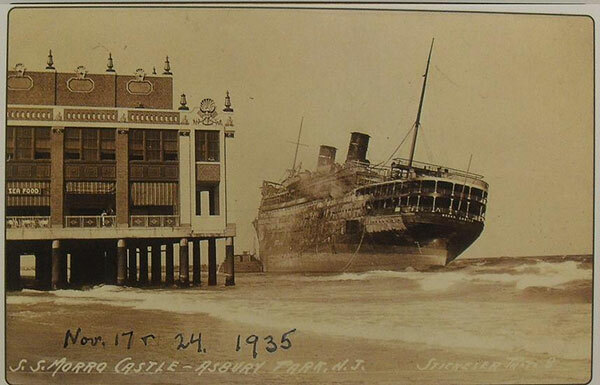 The ship was declared a total loss, and its charred hulk was finally towed away from the Asbury Park shoreline on March 14th, 1935. 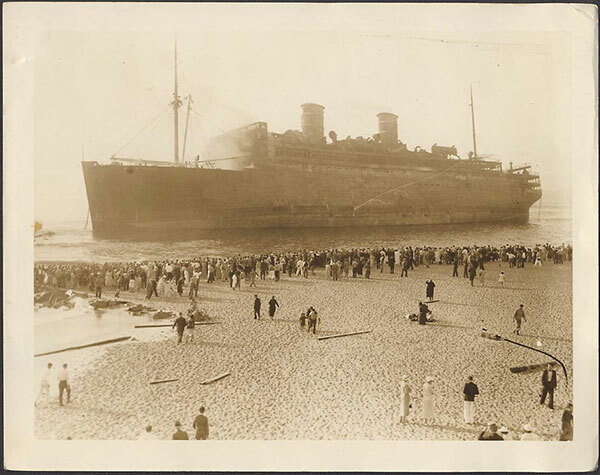 Because of its proximity to the boardwalk and the Asbury Park Convention Hall pier while it waited to be scrapped, it was possible to wade out and touch the wreck. It was treated as a sightseeing destination, complete with stamped penny souvenirs and postcards for sale. In the inquiry that followed the disaster, Chief Radio Operator George White Rogers was made out to be a hero because, having been unable to get a clear order from the bridge, he sent a distress call on his own accord amidst life-threatening conditions. Later, however, suspicion was directed at Rogers when he was convicted of attempting to murder his police colleague with an incendiary device. 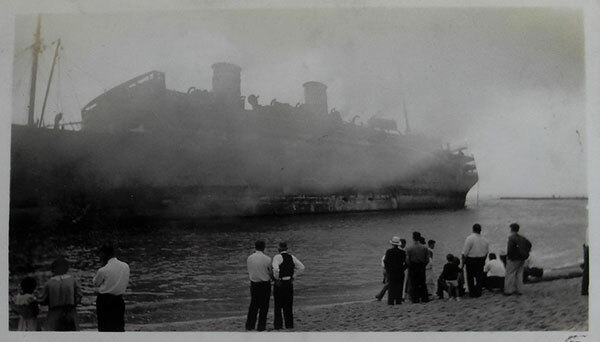 His crippled victim, Vincent ‘Bud’ Doyle, spent the better part of his life attempting to prove that Rogers had set the Morro Castle fire as well. In 1954, Rogers was convicted of murdering a neighboring couple for money, and he died three and a half years later in prison. Officially, the cause of the fire was never determined. Seeing what Rogers had done both before and after the disaster, the expression “where there’s smoke there’s fire” is pretty apt!